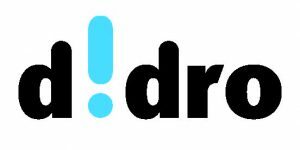 New partnership in fabbricadigitale: welcome didro! We have signed a new partnership with didro recently, the company that realizes projects of Digital Transformation through strategic consulting activities and combinations of software, platforms, and innovative solutions, all with the aim of simplifying the organizations’ processes. The business and personal relationship between fabbricadigitale and didro’s people lasts since years. The mutual esteem, technologies as foundation, and the shared principle that the digital transformation is the natural path for companies which want to stay in the market brought to this official collaboration. Our products with the high-level consulting and the wide range of complementary solutions guaranteed by didro can be the personalized answer to any society’s needs.